How to get a free or low cost iPad comes up often as a question in the communication impaired community. I had shared this article often from Wonderbaby, which lists 5, but with a quick search realized there were many more ways and a tremendous amount of grants to choose from than what was listed there. 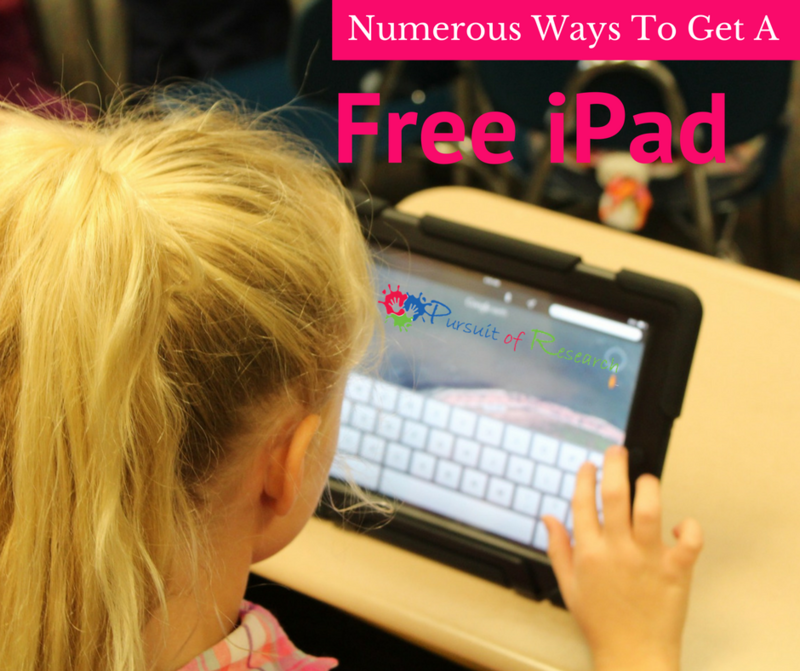 So below are numerous ways to get a free or low cost iPad. Before you start, RESEARCH. Devices, APPs, and accessories = cost, not just the device alone. There’s a reason why everyone’s talking about iPads… they really can be used as assistive devices for people with disabilities. From GPS apps that help with Orientation & Mobility to high-tech communication apps that take the place of much more expensive equipment, theiPad is becoming the go-to device for children with special needs. Plus the iPad‘s accessibility features are remarkable! Yes, iPads really are accessible to users who are deaf or visually impaired (Check out this article for more about iPad accessibility). But even if the iPad is much less expensive then some other traditional assistive devices, that doesn’t mean they are necessarily affordable! If you’re trying to get an iPad for your child, but need help raising money for one, here are five tips that are sure to help. Begin by contacting your insurance company. Find out what you are allowed under Durable Medical Equipment and talk to a case manager about having an iPad covered through your DME (be sure to ask for a case manager to be assigned to you because they have more deciding power than customer service). If you are going the insurance route you’re going to want to have a clear reason why you want the iPad. You can’t just say, “I hear they’re great for special needs kids!” Do your research and know which apps in particular you want to use and which needs they will be addressing. For example, I think it makes perfect sense to ask your insurance company to cover an iPad if you plan to use it as a communication device. You can argue that an app like Proloquo2go would be beneficial for your child and would cost much less than stand alone communication equipment (like a Dynavox). Be sure to request that your insurance also covers the communication app, though, since those can also cost hundreds of dollars. On the other hand, if you just want to play with the iPad and use it to help teach your childabout cause-and-effect or how to take turns (which is primarily how we use our iPad with Ivan), I’m sure the insurance company would turn you down. Your child‘s need for the iPadshould be very clear. Your child‘s need should also be backed up by professionals. Following the communication example, you would want to have letters of medical necessity written by your child‘s speech therapist, pediatrician, neurologist, behaviorist or any other applicable professional. Includeyour child‘s latest speech assessment and maybe even videos of your child using an iPad in therapy. You can also send along any article you’ve found related to using an iPad as a communication device (the more academic the article the better it will be received). If you’re denied by insurance, don’t give up hope! First of all, you can always ask for reconsideration (we’ve had to reapply for coverage of an item before and had it accepted on the second request). If all else fails with insurance, keep that denial letter and look at other places where you may find help. Remember that many charities or programs will want to see that you already asked your insurance and were turned down, so be sure to get that denial in writing and hold on to that letter! More information for how to secure help from your insurance company for your child here. Another place to go to for an iPad is your child‘s school district. If you feel that your childwould greatly benefit from the use of an iPad in school, then these are the people who should be funding the purchase. Of course, the iPad would then be technically school property so you’ll want to make sure that they will allow your child to use the iPad outside of the classroom, but that can usually be arranged (many schools send classroom laptops home with students and this would be a similar arrangement). In order to get a school to purchase an iPad (particularly one that is intended for one student’s use and not the entire classroom), you’ll have to follow the same steps you use to get a therapy or accommodation written into your child‘s IEP. Begin by asking for an evaluation by a professional familiar with both your child‘s disability and using an iPad. They may test your child‘s response to a few different assistive devices and then report back on which ones worked best. There are numerous places that specialize in getting funds to children who need them. Applying for an iPad through these organizations is not a guarantee, but it’s worth a shot! Little Bear Gives: Little Bear Gives sponsors grants to get iPads to children with CVI. You can sign up for their newsletter to find out when their next grant cycle will begin. Conover Company: The Conover Mobile Technology Grant is designed to help people with disabilities (adults and children) lead more independent lives. You can fill out their application online. Danny’s Wish: is committed to providing life enhancing resources and experiences for children and families dealing with autism and autism spectrum disorders. Their goal for this campaign is to raise $50,000 to supply approximately 100 iPads to those children affected and in need the most. iPads for Autism applications will only be accepted September 1st through December 31st of each calendar year. Daniela’s Wish: mission is to help other kids smile by granting a wish and giving them something to call their very own, something to play with or hold onto during times of sadness, just to help make them feel like a kid again. Different Iz Good Foundation: gifts Apple devices but when their application is closed for the year they list on this page others as well who gift just in case any are missed here. Different Needz Foundation: This organization raises money throughout the year to fund their grant program. Their grants go to families with children with special needs. You can tell them specifically what you want (such as an iPad) and how much it will cost. First Hand Foundation: First Hand will help children with special needs fund assistive technology equipment (among other things) that isn’t covered by your insurance. Friends of Disabled Adults and Children, Too! provides over $9 million each year in equipment and services to the disabled community at little or no cost to the recipients. Fund It Forward: eases the burdens of families with children with special needs by raising money for adaptive equipment not covered by health insurance. Gia Nicole Angel Foundation: enhance the daily functioning of a child with special needs and his or her family by awarding assistance through the purchase of a specific item or items. This includes children with any physical disability (such as, but not limited to: spina bifida, paralysis, missing limbs) or illness (such as, but not limited to: cerebral palsy, multiple sclerosis, cancer). Gracie Pridmore Foundation: provides funding for therapies such as but not limited to PT, OT, Speech, HBOT, iPads and more. Hanna’s Helping Hands: This grant is aimed at helping low-income families with children with special needs. They focus on Florida, Indiana, Kansas, Kansas City Metropolitan Area, Michigan, Rhode Island, and New York. iTaalk Foundation: provides assistive technology devices to individuals with autism, and educates the world on the latest technologies that benefit individuals with special needs. Jake’s Help From Heaven: will reimburse or purchase directly items which positively impact the life of the medically fragile individual. We understand the importance of proper equipment, accessories, and items which can improve the quality of the applicant’s life. Items can be of medical necessity or medical convenience. Little Bear Sees: focuses on providing CVI iPad packages to families in need. Modest Needs Grant: Modest Needs is a non-profit organization with a unique, threefold mission: to responsibly provide short-term financial assistance to individuals and families in temporary crisis, to lessen the burden of state and federal agencies charged with the care of the truly indigent by doing everything in our power to stop these at-risk households from slipping into the cycle of poverty, despite the burden posed by an unanticipated, emergency expense; and to promote compassion and generosity on the part of individual persons living in the United States and Canada. Paige’s Princess Foundation: provides families in need scholarship and grant opportunities for adaptive equipment and non-covered therapeutic services. Patient Advocate Foundation: was founded with the primary purpose of providing mediation and arbitration services to patients, providers, family members and caregivers of those dealing with significant medical issues and the impact on their lives. Parker’s Purpose: is for anyone with a life altering illness or disability that is in an immediate financial crisis due to unforeseen medical expenses. Families who live in Ohio will be first priority in providing assistance but will extend outside the state if deemed necessary. SEAL Naval Special Warfare Family Foundation: supports direct educational diagnostic testing, services and tutoring/mentoring and support to the families of active duty SEALs, SWCC and support personnel who have special needs children. The Lindsay Foundation: The Lindsay Foundation is a non-profit organization whose primary goal is to assist families with resources necessary to provide medical treatment, therapies and rehabilitative equipment in order to improve the quality of life for their special needs children. The Puzzling Piece iPad Challenge: helps families that have been touched by Autism, or other disabilities, to feel loved and supported through the gift of technology. The Prayer Child Foundation: seeks to provide this assistance to living children that are eighteen years old and younger with physical and emotional challenges. Small Steps in Speech: The mission of Small Steps in Speech is to help children with speech and/or language disorders take the steps needed to be better communicators. They offer grants to purchase communication devices (including iPads). Special Kids Therapy: Special Kids Therapy’s mission is to serve children with various developmental, physical and/or emotional difficulties and their families, principally by raising money for therapies and services not covered by private/public insurance. The UCP Elsie S. Bellows Fund: is a national program operated by UCP that provides grants for purchasing or repairing assistive-technology equipment for individuals with disabilities. Individuals with disabilities and their families who are in financial need and do not have other funding resources are eligible. United Healthcare Children’s Foundation: embraces and supports the concept of facilitating access to health-related services that have the potential to significantly enhance either the clinical condition or the quality of life of the child and that are not fully covered by the available commercial health insurance. Zane’s Foundation: This site provides grants to families with children with special needs in Northeast Ohio. The geographic location is limited, but the grant can be used for anything related to your child’s needs, including an iPad. Autism Care & Treatment: ACT awards quarterly grants between $100 and $5,000 to families with children with autism. Andrew’s Gift: provides grants and support for individuals and families affected by autism. Friends of Jacob Foundation: enriches the lives of families affected by Autism Spectrum Disorders by providing financial assistance to help with therapeutic interventions, socialization activities, support networks and family vacations. 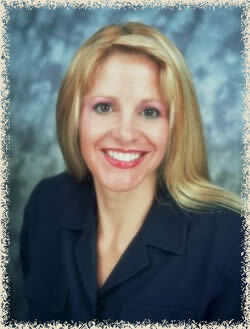 Generation Rescue Family Grant Program: provide autism treatment to families in financial need. Helping Hand Grant: provides grant funding for medical treatment, supplements and therapies not covered by insurance. HollyRod Foundation: The HollyRod Foundation will assist families with children with autism in obtaining adaptive equipment (including iPads). Jasmynn’s Voice gives iPads as an AAC (Alternative Augmentative Communication) device to those who have autism and struggle with language deficits/delays. Let’s Chat Autism: sponsors an “iPad’s for Autism” grant. Lil Mac Kids Foundation: was formed to raise funds for families located in Ohio or Minnesota with a child or children diagnosed with Autism Spectrum Disorder. MyGOAL Inc. Enrichment Grant: will enable families to take advantage of socialization and educational opportunities designed for individuals with special needs. NAA Voice Foundation: provides communication devices to individuals with autism who are non-verbal or minimally verbal, and whose communication challenges put them at increased risk of injury or harm. Talk About Curing Autism: Family Scholarship Program: was developed to help families who are pursuing treatment for their children with autism, but are struggling to find the funding. Local charities are often very happy to help children in their community. Contacting nearby charities can be difficult (first you have to figure out which organizations are in your area and then figure out how to contact them), but often they are more receptive than the big national organizations. Most communities have a Lion’s Club and since they focus on helping people who are blind, they can be the perfect place to start. We’ve had wonderful success with our Lion’s Club. However, we’ve also found that when looking for help with big ticket items, the Lion’s Club can help, but often can’t cover the full cost so we’ve had to look elsewhere as well. Here’s an inspiring story about a family in Pennsylvania who was able to get an iPad funded by their Lion’s Club and another local charity working together. That’s the way to do it! Looking for more charities? Check out this list and see if any have affiliates in your area. Another option is to just try to raise the money yourself. Honestly, an iPad isn’t that expensive, right? If you figure that you’ll need at least $500 for the iPad and maybe another $250 for a protective cover and apps (depending on what you’ll be using the iPad for), that’s still well under $1000. How many donations would you realistically need to reach your goal? You could begin simply by asking family members to give birthday and holiday gifts in the form of iTunes and Apple gift cards (remember, the Apple card can buy the iPad and the iTunes card can buy apps, but they don’t transfer—in other words, you can’t buy an iPad with an iTunes gift card). You could also get a little fancy and start an account with an online fundraising website and ask friends and family to donate there. This is actually a fun way to raise money because everyone can see your goal and how close you are to achieving it (which can encourage some people to donate just a little more). Many of these sites integrate well with Facebook, Twitter and popular blogging systems, so you can share your fundraiser easier. If you really want to get into it, you can also contact your local newspaper or radio/television station and see if they want to do a story about your child and your fundraising efforts. You’d be surprised how often they’re looking for a nice family story! You can also write a personal story about your situation and submit it to The Mighty like Julia did and link it to your fundraising website, and this is the one Julia linked to. Sometimes kids need an augmentative or assistive device for a few months or years, and then they don’t need it any longer, or the parent gets a newer model. If they hear about you looking for one they may sell it to you cheap, or in some cases gift it forward to you. I’ve seen this happen a few times through the Cherab outreach groups where a parent even at times comes to the group to gift a therapy product that is no longer needed forward. Doesn’t hurt to ask! – Businesses offering percentage for your cause. – Community outreach—local newspapers & TV stations, share your story. *Deadlines always changing and they usually are raising money then give one iPad away at a time. Keep checking back!! !